HASLETT - Last night parents and community members were invited to attend a safety and security forum at Haslett High School. Then session was put on by Superintendent Steven Cook along with the Meridian Township Police. They presented information regarding safety procedures inside of the school as well as security option s within the community. 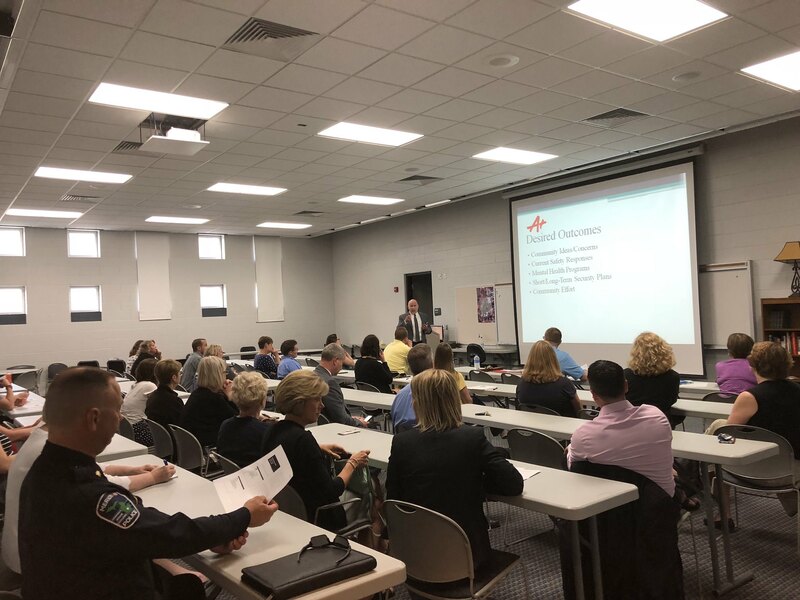 They also addressed drills on how to handle an active shooter inisd of the school and the training Meridian police have to go through to control the situation. They also mentioned different safety programs they have during school hours to prepare the students. “Hopefully they had a better understanding kid the focus the district is going to take to try and improve safety in the school and have a understanding that there are procedures in the school to keep their children safe,” Plaga said.